Zero Waste & The Recycling Hut — Kate Friedman Consulting, Inc.
My first day here Yorit shared with me that since last summer the community has gone the way of “zero waste” meaning that all garbage is kept and reused. I watched Yorit fill two boxes with bottle bricks, which are soda bottles filled with shredded plastics that cannot be recycled, and old toothbrushes left at Sadhana. She epoxy-ed a small board to each box and then a larger board she had painted to the other side to connect the two boxes. Now she has a table/desk/bench made of fully reused materials. Super cool. We are thinking of making pillows this way (filling them with shredded plastics which will also mean they dry quicker when it rains). I’m very into this idea. 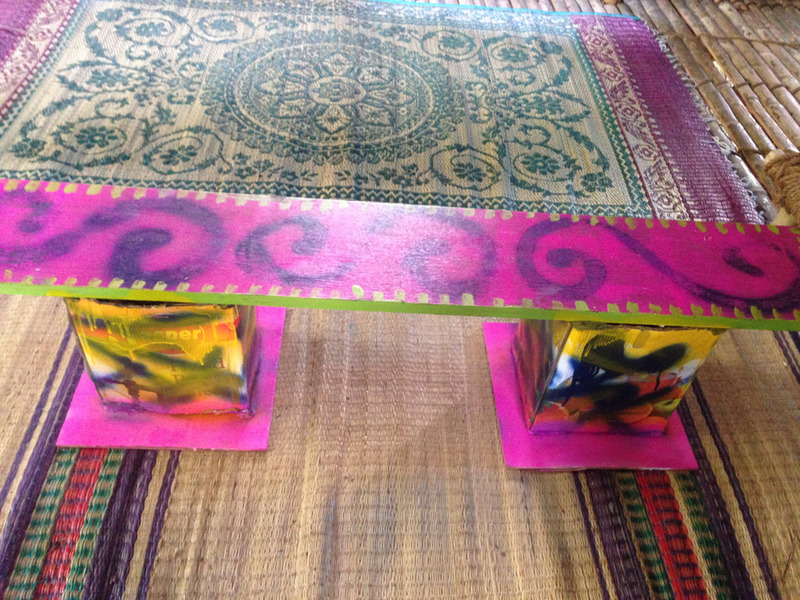 She has also made stools this way, which are now dotting the community. The recycling hut is overflowing and ready for some big projects, which will use these materials in a meaningful way. Newer PostCooking My First Meal for 45 People!